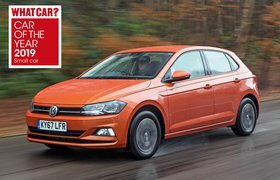 Used Volkswagen Polo (09-18) long-term review | What Car? 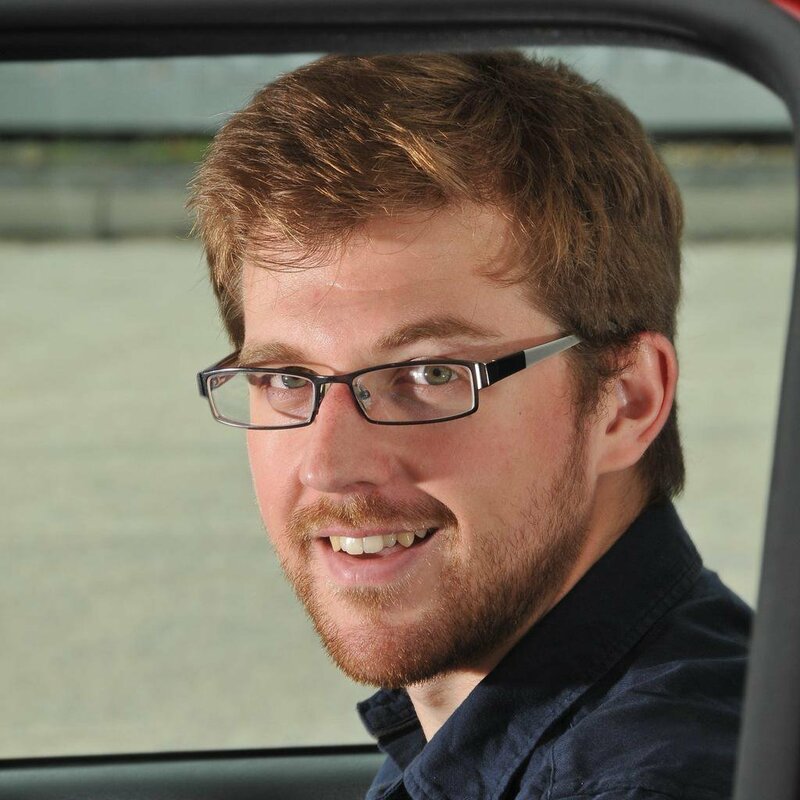 I may have mentioned in a previous report that I’d taken our used long-term Polo up to Yorkshire. Well, I’ve been spending a lot of time recently trundling up and down the country (most of it on the M40, if you’re interested) and on my travels I’ve noticed a number of people stuck at the side of the road on their phones, partway through trying to change a flat tyre. You might have witnessed this, too, and perhaps, quietly to yourself, mocked them for their inability to take a wheel off. However, I’ve found, there’s perhaps a very good reason why they have been thwarted, one that you may not be aware of. Have any ideas yet? Well, I believe it has something to do with corrosion. 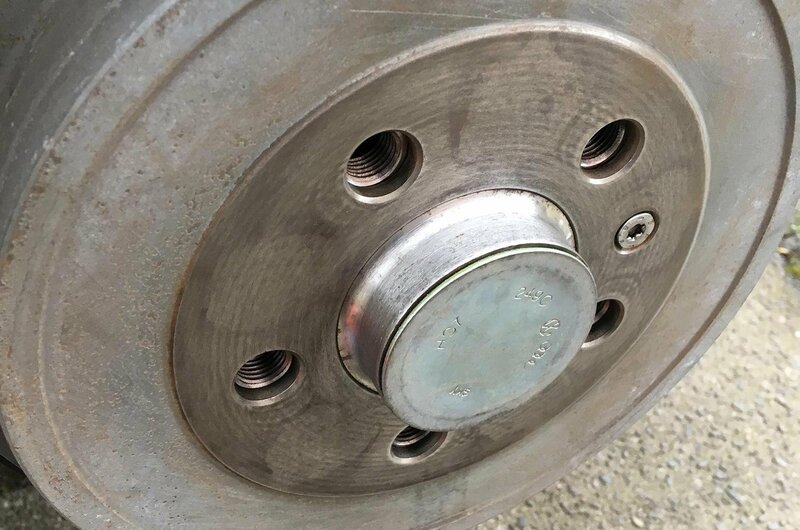 You see, brake discs and alloy wheels are made of dissimilar metals, and when they come into contact with one another, they react, leading to corrosion. This gets particularly bad in the presence of acidic alloy wheel cleaners and road salt. The former, I don’t use (who knows if the previous keepers did, though) but the latter – let’s just say there’s been a lot of it spread across our roads during the cold snap we had earlier this year. I thought I ought to have a look at the alloys on our car because I don’t wish to find myself stuck at the roadside. Sure enough, there was corrosion, so, I decided to investigate further and found that three of the four wheels were seized to the car and required considerable persuasion before they broke free. Obviously, I had to sort this out, so I set to cleaning off the rust with a wire brush. 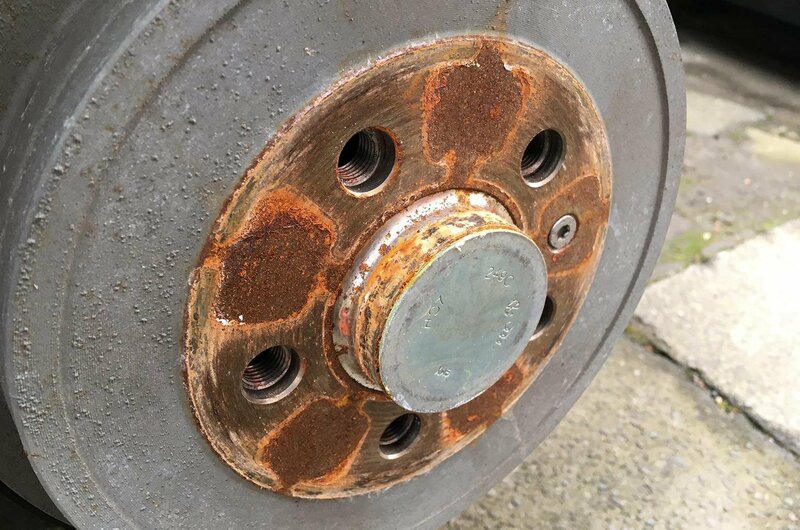 If I hadn’t cleaned the surface, the corrosion would have prevented the wheel from sitting flush with the hub and caused vibrations while driving. 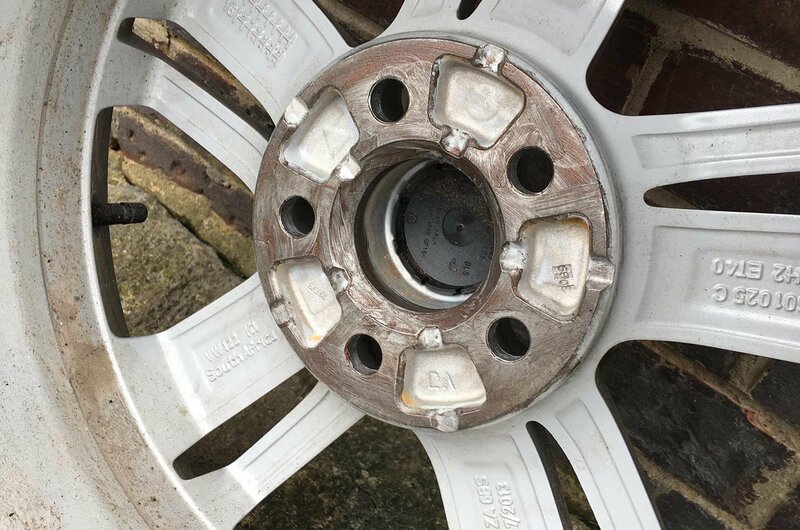 I also took the added precaution of smearing a light coating of copper grease to the hub and the back of the alloy wheel to act as a barrier between the two surfaces and prevent this from happening again. I must admit I was surprised to find corrosion on a car this young, but it just goes to show how quickly it can form with our roads being as salty as they are. It also demonstrates why it makes sense to keep on top of little bits of preventative maintenance like this, even if your car’s nearly new. 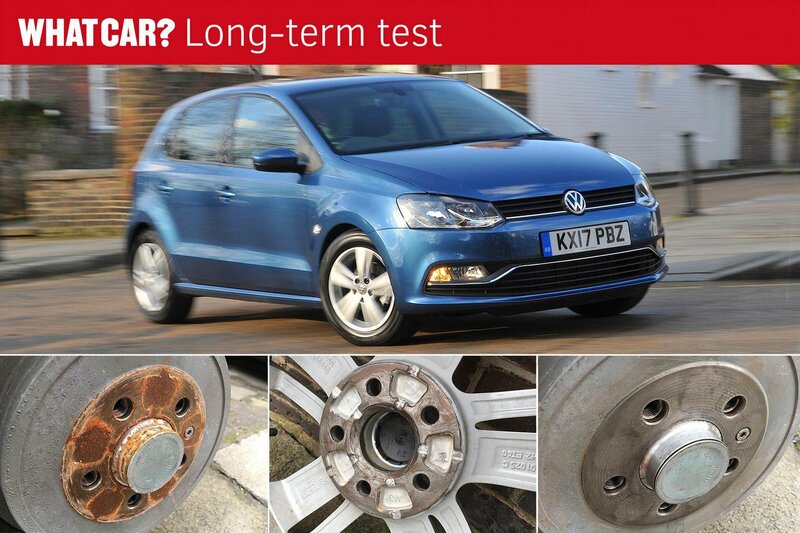 I remember speaking to the owner of my local garage and they told me they often warn owners of older cars that repair work may take longer than expected if they encounter badly rusted bolts or alloys that are seized solid to the car. Based on what I’ve found, I sympathise with them.